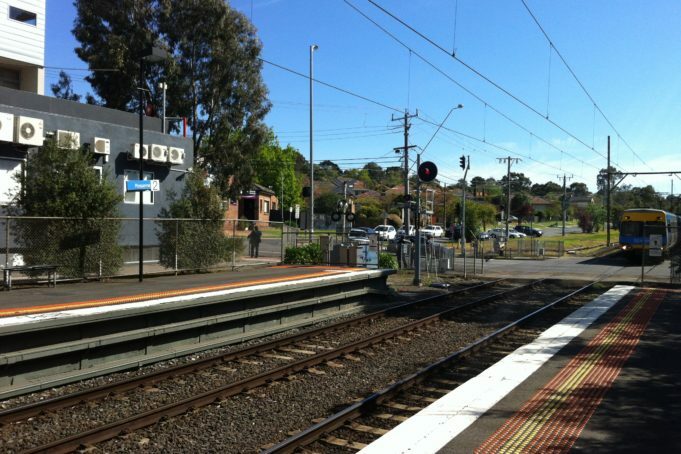 Rosanna Station, in the outer suburbs of North East Melbourne on the Hurstbridge Line, has long been overdue for upgrades. Last week, the contract was signed to begin work, with the final design completed. Work is to begin straight away. This should delight commuters and drivers in the area alike, as the area is notorious for delays. These include: boom gates clogging traffic on Lower Plenty Road; parking filling up by 7.30 in the morning, leaving a lot of commuters stranded or having to figure out another option; buses and trains not linking up, leaving commuters missing their train by as little as seconds, and traffic lights starting early so drivers cannot make it to the other side of the road, leaving them there for up to 5-6 minutes as trains on both sides pass. Due to these problems it’s also a dangerous area for accidents, as the Rosanna Library is located directly opposite the station. Children and their families leaving the library; kids coming and going to school; workers and travellers crossing the road, the amount of activity Rosanna station sees on a daily basis warrants these upgrades. Rosanna station is also desperately in need of toilets on both sides of the tracks, and a larger cafe with more options for people grabbing breakfast on the run. Extensive research was undertaken not only within the government and Level Crossing Removal Authority (LXRA), but also within the voting public, with state member for Ivanhoe, Anthony Carbines, pushing this upgrade for many years as part of his re-election campaigns. Residents of the area were encouraged to come along to sessions where they could voice their ideas and concerns over the upgrades. There was also an online forum used. Many ideas were taken into consideration for the removal of the boom gates, they included: lowering the track under Lower Plenty Road; raising the track above it, and other ideas. As was announced last week, it was decided that the track will be raised above Lower Plenty Road. Along with the many works that are happening at the station itself, the track between Rosanna and Heidelberg is being duplicated. This will save many delays that were frequent between these two stations, as one train had to stop to let the train going in the opposite direction through. This duplication will allow both sides to move freely and eliminate this type of delay. With a new station, more parking has to be added. Rosanna Station fills up very quickly in the morning, and there is nowhere near enough parking spaces for the current amount of people that use it. There has been an assurance that parking spaces will increase, however the number is yet to be determined (current number of spaces is 241, not including street parking). There is also currently no taxi rank and no specialist space for cyclists or motorbike riders to park, which will be amended with the new station. The works are estimated to be finished by 2019. This is quite a long time in the short term, as people will have to get used to replacement buses for the time being, however in the long term it will increase efficiency and timeliness of the trains, while giving commuters and travellers a new, modern station to enjoy.